The Great Baan Ying Brunch, Enjoy a Selection of Thai Favourites Weekend Semi-Buffet for the Family! You are at:Home»DINING»The Great Baan Ying Brunch, Enjoy a Selection of Thai Favourites Weekend Semi-Buffet for the Family! Thai food is very popular in Singapore and Baan Ying is a well-known Thai restaurant from Bangkok that serves homely and tasty dishes. It started in 1999 at Bangkok’s Siam Square and has 10 outlets across prime locations in Bangkok. Last year, Baan Ying has ventured overseas and chose Singapore to be its first overseas outlet, conveniently located at level 2 of Royal Square, Novena. Baan Ying’s delectable menu is crafted by its founder Aunty Ying and her son, ‘John’ Songsorn Junsunjai’s favourite dishes made from family recipes. It has launched The Great Baan Ying Brunch in January, a weekend treat that features popular Thai favourites that the whole family can look forward to enjoy! Diners can indulge in a variety of Thai favourites consisting of appetisers, sides and desserts. The semi-buffet includes a choice of one main course along with a spread of 12-15 delicious appetisers, sides and desserts. The dishes will be rotated every week. Children can also indulge in much-loved kid-friendly staples and non-spicy sides at the buffet, while having fun at the dedicated play area that is specially set up for the weekend. One of the highlights of the buffet is the DIY Thai Salad station where you can mix and match with a wide variety of ingredients like cherry tomatoes, long beans, tangy green papaya (Som Tum), green mango (Yum Mamuang), peanuts, dried shrimp and many more. Toss your ingredients together with Aunty Ying’s secret salad dressing to make your yummy salad! We are so impressed with its main course and the Weekend Brunch price includes one serving of main course. You can choose from Angus Beef Steak served with grilled seasonal vegetables, Spicy Fish sauce based dip originating from Isaan, Northeastern Thailand, Grilled Large River Prawns garnished with crispy lemongrass ‘floss’ and Pan-Fried Salmon Steak topped with fried ginger. 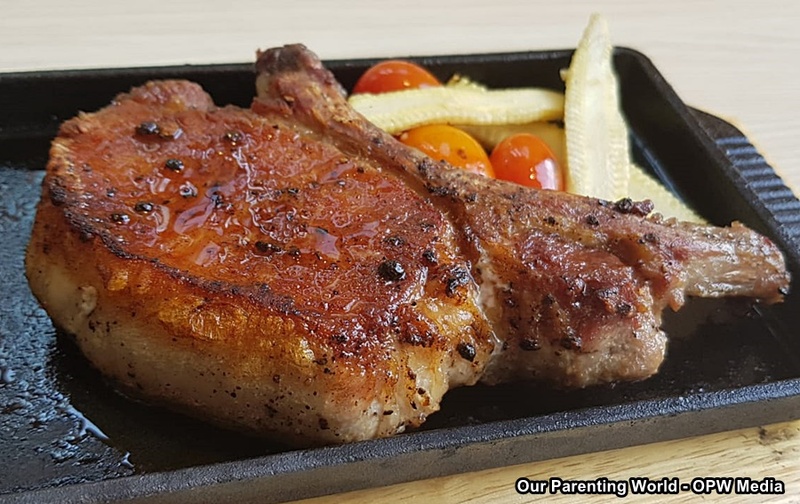 In addition, you can top up with an additional $9.80++ to enjoy the flavourful and delicious Bone-in Iberico Pork Chop with Aunty Ying’s secret blend of Thai spices, perfectly cooked to achieve a subtle char, while maintaining juiciness of the meat. 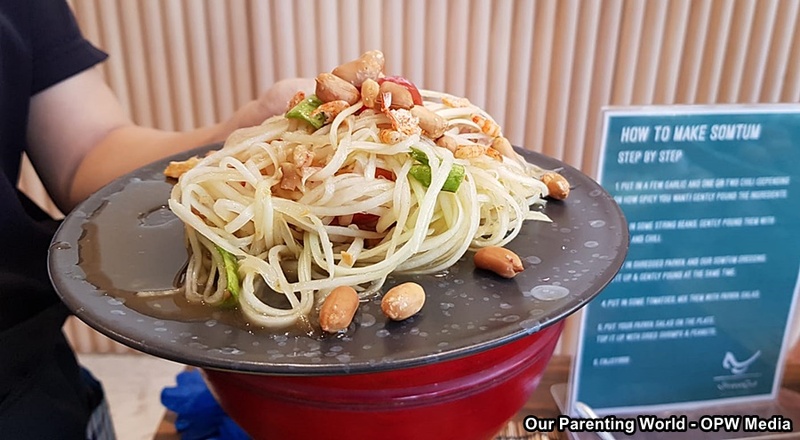 As for the kids, they can choose from child-friendly favourites like Junior Omelette Fried Rice and Junior Omelette Fried Noodles, on top of an array of non-spicy dishes from the buffet spread. 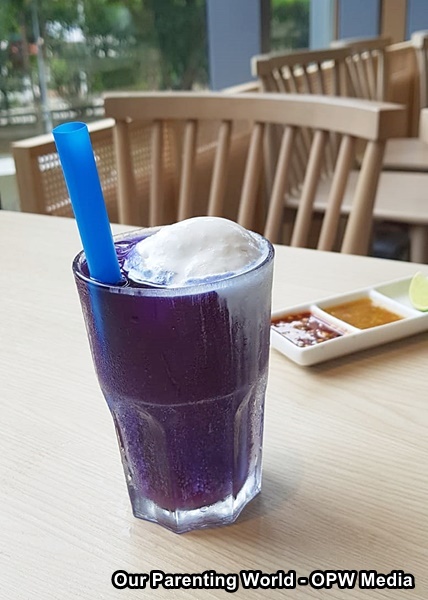 Another highlight not to be missed its Baan Ying’s popular drinks like Butterfly pea tea with lime ($4.80++), Thai iced tea float ($9.80++), and Iced lemongrass tea ($4.80++). Thinking of where to go to enjoy authentic Thai food during the weekend with your family? Visit Baan Ying and try out its new delightful The Great Baan Ying Brunch! 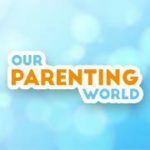 Being foodies themselves, our kids love the food! The buffet is priced at $38.80++ per adult and $19.40++ per child (four to ten years old; kids under three dine free; child price includes a complimentary fruit juice). A free-flow of beer and wine is available at a top up of only $29.80++ for the entire brunch duration from 11am to 3pm!